Xcelerated Concepts is a brand new site still in development. They will feature newly Modified cars and trucks for your favorite racing games and much more, with their specialty being games from Ratbag. They currently feature "Ghost Mode" for Leadfoot and DTR with more goodies on the way.Check them out and watch them grow. Message Boards, reviews, free downloads and more! A Complete site for fans of Leadfoot, and your all around "Sim racing Junkies"
If your looking to get yourself a new wheel, you definitly need to go here first!!!! Lots of good information and advice which should help you to choose the perfect new input device for your system. A complete site for online, off-road sim racing. They have a huge link list and pretty much anything else conscerning racing. I definitly recomend everyone pay at least one visit There. 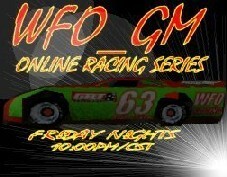 An on-line league site dedicated to Dirt Track Racing. Lots of stats, links and DTR info. This is a club site for Grand Prix Legends. They have lots of links and info and allways welcome newbee's that want to join. Hell, they even let me join!!! Want your site listed here? Please Email us your information! !